There appear to be several quite distinct versions of "Nikka Single Cask Malt Whisky 1989". 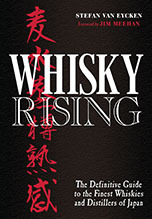 The whisky Serge reviews below is from a new oak barrel and appears to be more easily available in Europe than in Japan. 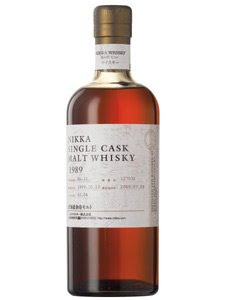 Just to make things nice and complicated, there are at least two other bottlings with almost exactly the same "Nikka Single Cask Malt Whisky 1989" labels which will taste quite different from Serge's bottle. 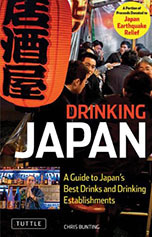 They are marketed in Japan at about 10,000 yen each and have a subheading describing their distinct styles: "Sherry and Sweet", "Peaty and Salty" (and some other headings, some of which seem to refer to Miyagikyou single casks). Colour: deep gold / pale amber. Nose: coffee, rosewood and caramelised peanuts – lots – plus pepper, ginger and cloves but the high alcohol is quite striking. Let’s not take chances. With water: well, this one isn’t exactly pencil shavings juice but the oak is still quite dominant, even if it lets a rather vegetal peat go through as well as notes of smoked tea, wet wool, wet hay, apple peelings, farmyard... Great profile but it’s like if it was all about wood support. Too bad, we know Yoichi’s spirit is great. Mouth (neat): we can feel this is nice but the alcohol is high, so again, let’s not take chances. With water: yes, the story’s all about wood, spices, ginger, pepper, paprika. Yet it’s not tannic whisky at all, which is quite an achievement her I think. 700 ml - Not clear on the Japanese price but probably in the region of 10,000 yen. It is on sale at this French site for 109 Euros.